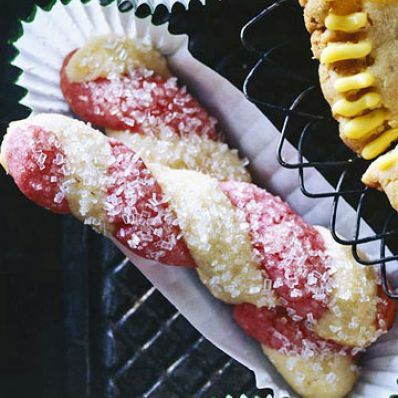 These red and white holiday cookies are made by adding crushed cinnamon candies to half of the dough. 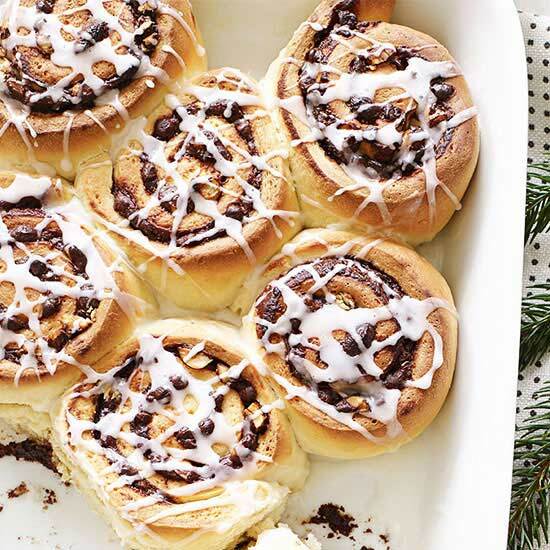 They tint the dough pink and add a burst of great cinnamon flavor. 1 of 5 In large bowl, beat butter 30 seconds. Add confectioners sugar and salt; on medium speed, beat until light, 2 minutes. Beat in egg and vanilla. On low speed, beat in flour. Divide in half. 2 of 5 Blend candies in electric blender until pulverized. Work candies into half of dough. Wrap each half in plastic wrap. Refrigerate 30 minutes. 4 of 5 Roll 1 level tablespoon of each color of dough into 8-inch-long rope. Twist ropes together. Cut twist in half; place on ungreased baking sheet. Repeat with remaining dough. Brush with egg white; sprinkle with sugar. 5 of 5 Bake in 350 degree F oven 12 to 15 minutes or until just lightly golden. With spatula, remove to rack; cool. Makes about 4-1/2 dozen. Per Serving: 18 mg chol., 3 g sat. fat, 0 g fiber, 26 mg sodium, 1 g pro., 102 kcal cal., 5 g Fat, total, 12 g carb.